Kseniya teachers Research methods in MBA and International Business programs. Her research interests evolve around social issues related to technology (mostly digital media), such as transparency, structuring of work, and occupational dynamics. Kseniya holds a PHD from HEC Paris, as well as a Master degree in International Journalism from BSU and an MSc in Visual and Cultural Studies from EHU International. 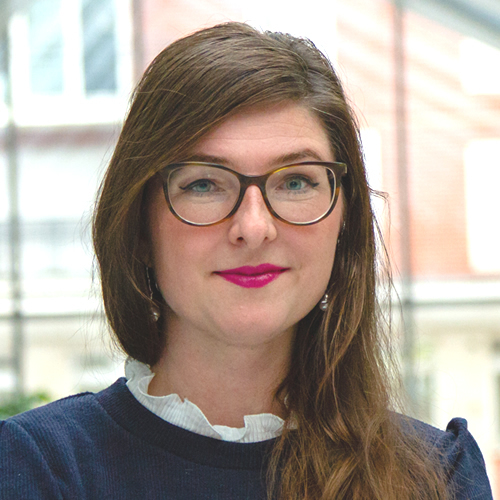 Before joining EMLV, she has worked as a postdoctoral fellow at Grenoble Ecole de Management, exploring the connection of digital media and ritual infrastructure and teaching Organisational Behaviour and Managing Organisations. Before joining Academia, Kseniya worked for eleven years as a journalist in the major newspaper in Belarus and collaborated with newspapers in Poland.